We departed from a sunny and humid Syracuse, New York in the USA on the last day of August 2015. Zanele Muholi was selected as an Artist-In-Residence, a month long stay as part of Light Work AIR. We stayed awake for most part of the journey, only to be betrayed by sleep, after having a light snack and tea at the lounge in Copenhagen. An hour before the last of three booked flights took off we abandoned our snooze, and made our way to the boarding gates. The final destination was Gothenburg in Sweden. The Scandinavian country was operating on a different time zone, and welcomed us with wet weather. On arrival a friendly cab driver was waiting with a small board with Muholi written on it. He was chatty and conversed with Muholi who was occupying the front seat, she dozed off and I continued the conversation with him. After arriving and checking in at Poseidon Hotel, our temporary home from September 1-4, sleep was calling my name, and I responded positively. Later that evening we went for a “potluck” dinner, organized by Louise Wolthers and Mary Coble with some of their colleagues and friends from the city. We returned a few hours later, ready to hit the sack and get some rest for Muholi’s big day on September 2. Jet lag was still firmly in control of us the following morning. 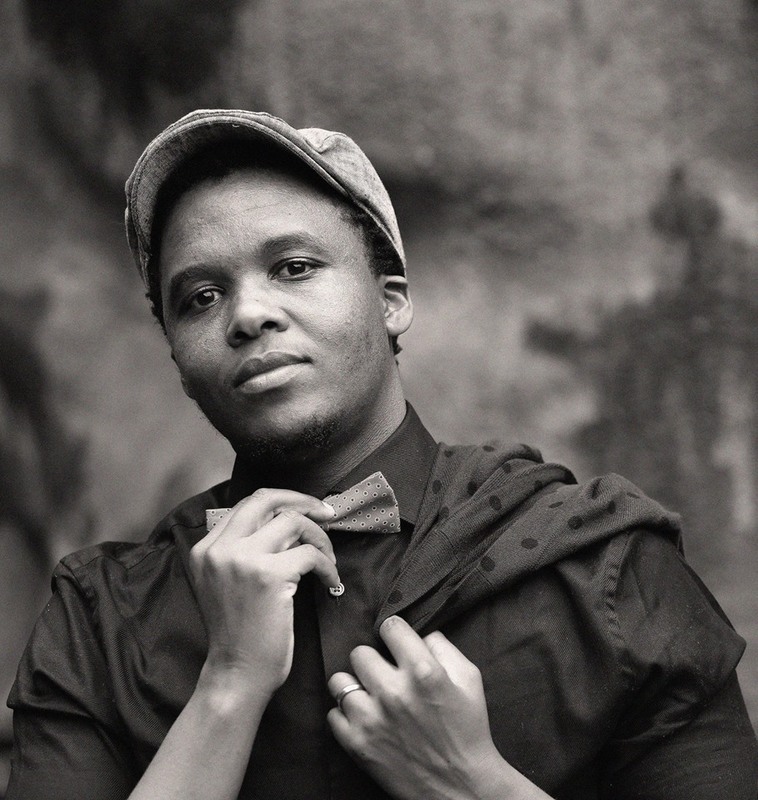 The artist talk organized by Hasselblad Foundation is one of Muholi’s career highlights. With only a few hours left before the event was scheduled to start at the Stadsbiblioteket (City Library) on Götaplatsen. For this talk, Muholi was tasked with sharing about photography, and how she merges it with politics and art. Her focus was on the LGBTI community in her birth country, South Africa, with the continuing fight for recognition and protection of human rights. Louise Wolthers, who is a researcher at Hasselblad Foundation, moderated the conversation. I spoke as a participant featuring in the Faces and Phases 2006-14, with more follow up portraits of me, captured during our travels. Three _ 3 Faces and Phases participants. 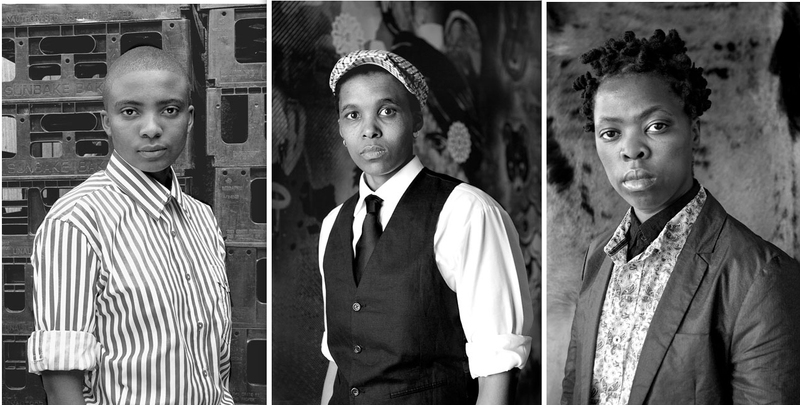 L-R: Lerato Dumse (2010), Johannesburg, Vile Fanti (2011), Stockholm and Muholi (2011), Vredehoek. Since the talk was divided into two parts, the first day had 45 minutes dedicated to talking and screening “We live in Fear’’, before opening up for a Q&A session. The audience which started arriving nearly half an hour before starting time and came out in numbers. They were not shy to ask their questions. Following the talk, those who were interested in buying the book moved to The Gothenburg Art Museum Book Store, where she also signed the books. While busy packing my equipment, a man came up to me and greeted me in Isixhosa. It is always lovely to hear your language spoken by a stranger abroad. We did the “pound hug” (shaking hands and hugging at the same time). He introduced himself as Vile, I was so happy he had made it to the talk. Vile Fanti is one of the transmen who are part of the Faces and Phases series, and the only participant who lives in Gothenburg. 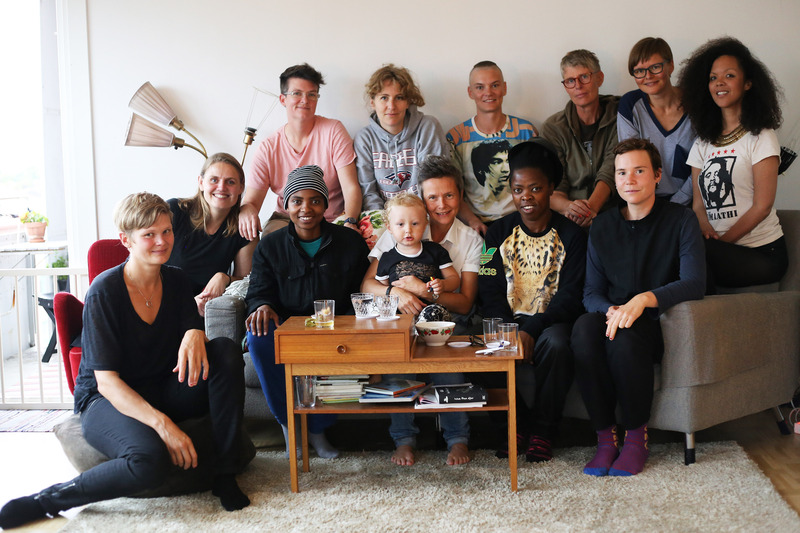 Muholi’s visit to Sweden was organized in partnership between Hasselblad Foundation and the Fine Art Unit at Valand Art Academy. This entry was posted in Another Approach Is Possible, Archived memories, Creating awareness, Power of the Voice, South Africa, We Are You, We Care, We Still Can with/out Resources, Writing is a Right and tagged activism, Art Activism, Art/Activist Talk, Article, Audience, beauty, Being, Black, Black Lesbian professionals, Book signing, by Lerato Dumse, Career, Collaborations, community, Connections, Consciousness, Education, Embraces, Experience, Expression, Faces and Phases, Faces and Phases series, Family, Fashion, Feelings, Friendships, From Johannesburg to Gothenburg, gender, Gothenburg, Gothenburg to Malmo, Human beings, Human Rights defender, Inkanyiso media, Jet-lag, Language, LGBTI community, Life, Living..., Love, Muholi talk at Hasselblad Foundation, Participant, Photographs, Politics of representation, Portraits, Presentation, Pride, Re-Writing, Recognition, Respected, Self loving, Sharing knowledge, South African history, Stadsbiblioteket (City Library), Sweden, Trans visibility, Transgenderism, Transman, TransVisuals, Undoing Invisibility of black lesbians and trans persons, Vile Fanti, Visual activism, Visual activist, Visual culture, Visual history, Words, Zanele Muholi. Bookmark the permalink.